Are you having a hard time deciding if your hair is considered wavy, curly--or both? Don't know how to adjust certain "curly hair rules" to fit the needs of your unique hair type? You’ve got questions, and YouTube hair guru CurlyPenny has got answers. Don’t worry, type 2c’s, 3a's and all the curlies in between, we hear you loud and clear. Here is what we get asked in our Q&A section the most about your texture. Still not sure about your hair type? Has it changed? Take our quiz! If you have a question that you want answered by our NaturallyCurly editors and community members, post it here in our "Ask" section. My 2c hair won’t curl at the roots. Ah, the dreaded flat canopy. There are a few things that can liven up that flat canopy; getting layers will take weight off of the roots allowing the hair to curl more. Flat roots can be (but aren't necessarily always) a result of product build-up. If you are susceptible to flat roots, keep products away from your scalp--besides shampoo, of course. Conditioners and gels on the scalp can build up easily, thus taking away volume, and putting weight on the curl, causing it to lose shape. Clarify on a scheduled basis to get rid of product build-up. Below is an easy DIY clarifying rinse that I use. After the shower, twirl your hair at the top in sections to promote better curl formation. It is also important to remember that you can’t force your hair to be another curl type. Some hair types are naturally loose at the top, and there ain’t nothing wrong with that! If you're concerned about the effects of baking soda on your hair, check out this article for more info and tips on how to use it effectively! What's my hair type--2c or 3a? What do I do with my hair? Lucky for you, helping our fellow curly folk is our specialty. 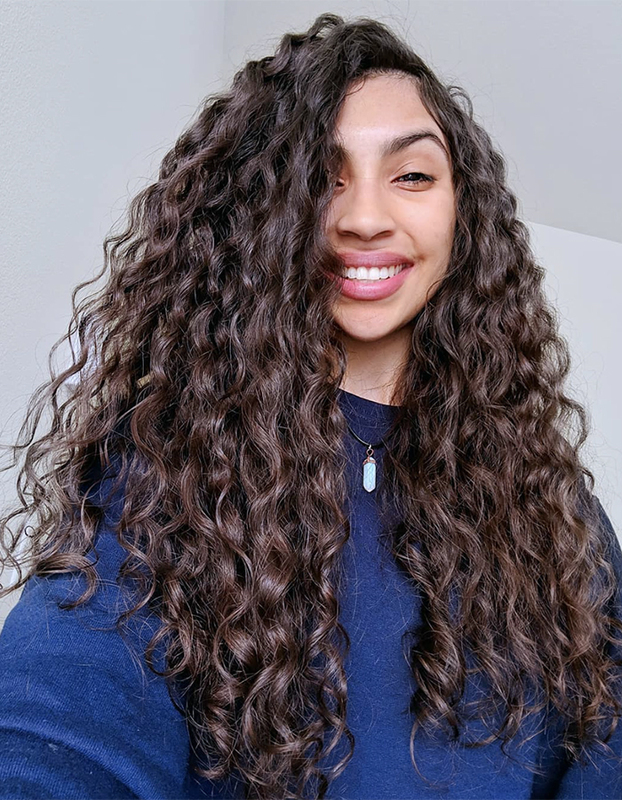 A great starting point for any curly head is the Curly Girl Method, which consists of two basic steps--washing your scalp with conditioner (co-washing) and using hair gel. Massage your scalp with a silicone-free conditioner to wash it instead of using shampoos with harsh sulfates. Afterwards, condition your hair, but do not rinse out all of the conditioner. To style, apply a silicone-free gel, and smooth down your hair with the palms of your hands. 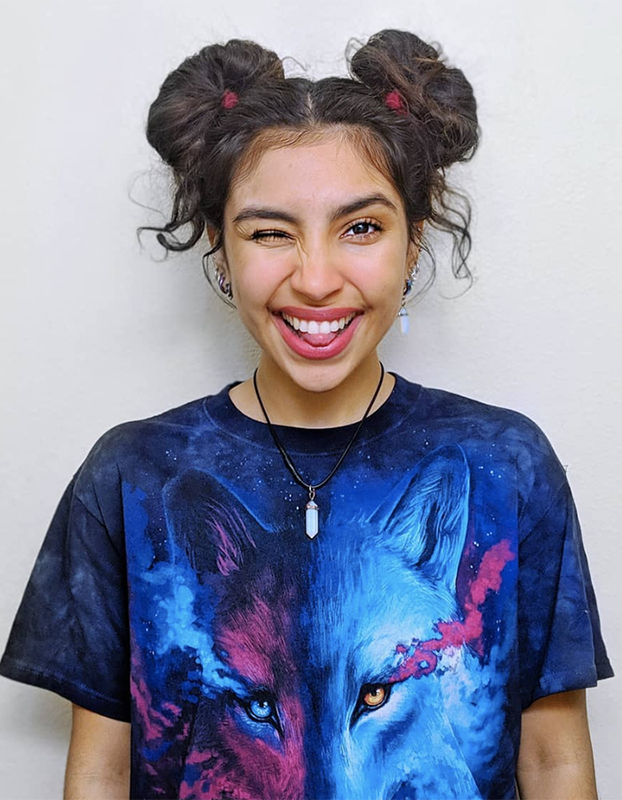 Scrunch again and again with a t-shirt, and let your hair air dry. To sleep, put your hair into a pineapple. Below is a simple tutorial on how to do it. Lastly, make sure you listen to your hair. See what it responds to best. It’s okay to modify the Curly Girl Method to fit your specific needs and desires! Which oil is the best for my hair type? Really, the oil that is "best" for your hair differs from person to person. In general, any carrier oil can be used--it mostly depends on the effect you are seeking. Every carrier oil has a unique impact. In my opinion, olive oil is the best all around--it nourishes the hair while adding softness and shine. Coconut oil is very popular because it strengthens the hair and can help add curl definition while fighting breakage. Argan oil is often referred to as liquid gold due to its ability to fight breakage, and add luster to dead hair. Jojoba oil is adored as well because it is very thick, it lubricates the hair, and creates a protective barrier to prevent breakage and help with length retention. Castor oil is an oil everyone raves about due to it's rumored ability to help with faster hair growth and hair thickness. There are dozens of oils, and you can have your choice of them all. Experiment with any oil you are curious about and see how your hair reacts to it. How often should I deep condition my hair? For the most part, it is said that deep conditioning should be done at least once a week to fight against breakage and help keep the hair moisturized. A rule of thumb for wavy or curly hair: The drier your hair is, the more it needs to be deep conditioned. Those with high porosity hair tend to have hair that is more thirsty, so deep conditioning should be done more often to compensate for its moisture losses. Whenever your hair feels thirsty, quench its thirst with a good deep conditioning session. You have to listen to your hair and do what gives you the best results. Here are some good products for the wavy gals out there, including some deep conditioners to try. Are you a 2c curly who has dealt with or had questions about some of the things shared above? Tell us about your experiences: how do you deal with flat roots? Have you tried baking soda as a clarifier? Share it all with us in the comments below! This article was originally published in 2015 and has been updated to incorporate reader feedback.